This is part V in a series of making your work relevant for policy. In my first post, I laid out some principles for academic-policy engagement. In the second, I talked about short-form writing, and in the third, Iong-form writing. In the fourth, I discussed policy-relevant courses and speakers’ series. Beyond these other ways to engage public and policy audiences are grants and consultancies, two paths possibly proximate to policy. I have had the good fortune to be part of a couple of multi-million grants through the Department of Defense’s Minerva Initiative , a $7.6 million 5-year grant from on climate change and Africa (CCAPS) and another 3-year nearly $2 million grant on complex emergencies in south and southeast Asia (CEPSA). I’ve also done smaller scale consultancies for USAID, the Consultative Group on International Agricultural Research (CGIAR), and other outlets. How Do Your Hear About This Stuff? Many institutions send out periodic emails about pending funding proposals. You might ask senior faculty about where they have found outside funding. 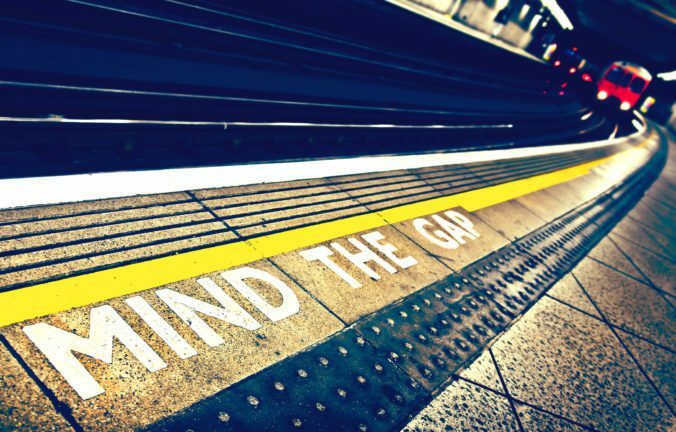 Other groups like Bridging the Gap will help you build a professional network of friends who are also doing the same thing and word will get around. Before you invest a lot of time in doing a big proposal or a shorter white paper, I would contact folks who have been funded by the granting institution before. They can give you pointers on what the funders are looking for. See if you can review sample successful proposals. I would also talk to the grants officer at the funding institution beforehand. They can give you a clue what they are looking for. Minerva for example supports basic research that is relevant to the military, but they are not expecting you to do a bunch of policy recommendations. They want the research that they can then decide what to do with. Follow the details on what they tell you over the phone or in person and the written guidance in the application materials. You don’t want to get dinged for not following directions. 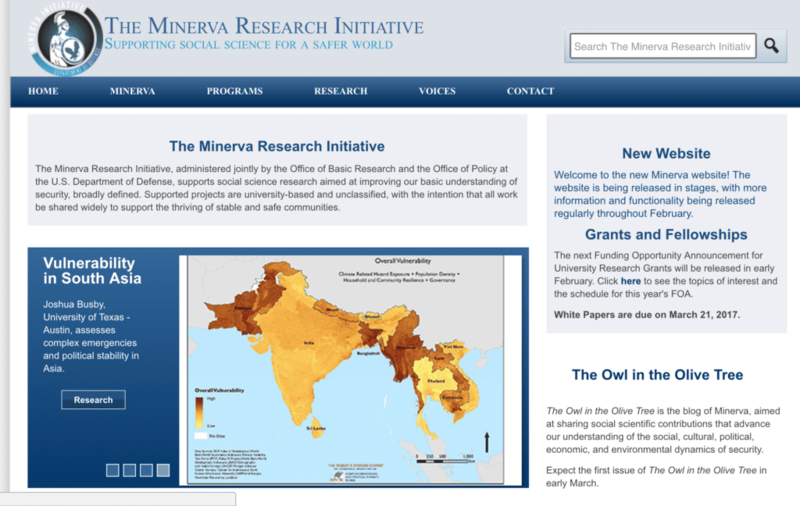 As you can imagine, grants like Minerva are pretty hard to come by and require a fair amount of coordination and administrative capacity. Thankfully, I was shielded from that in the first grant where I wasn’t the principal investigator. But, you will likely have considerable work to do to format proposals to meet their specifications, particularly if it is a complicated grant that involves multiple investigators and institutions. You will likely have to liaise with an office of sponsored projects at your home institution which can be a bit of a nightmare. Many government grants require very exacting budgeting and other elements, and while you may be able to handle a small NSF grant on your own, you will need help from your institution in managing larger grants, possibly someone whose job is fully dedicated to that task. Doing this by yourself will mean you won’t get any work done. It’s a lot of paperwork and specialized knowledge of how to get contracts and other stuff through the system. Necessary but not our comparative advantage or what most of us want to be doing. My institution takes 54% in overhead or indirect costs to cover facilities and administration and that percentage is increasing. So, if you think you are getting a million dollars, you are getting half that or less. Some foundations and donors have specific rules that restrict the percentage that supports overhead, and you may be able to pursue a strategy of gifts with no overhead in some cases, but for large federal grants, you are likely stuck with whatever your percentage your institution charges. You may also find that bringing on a graduate student can be very expensive when you think about covering their tuition, health care, and other indirect costs to support their time. You may get some of the indirect costs back to you. My institution recycles a portion back to the entity that originated the grant and then a portion of that gets split with the principal investigators. It can be an institutional fight over who controls the largest share, and it is not a trivial amount of money for a large grant. It can be tens of thousands of dollars. Conceiving and carrying these programs out means you are beholden to those funders over a period of years, including deliverables such as policy briefs, annual reports, trip reports, research meetings and other commitments. While you may get some credit for receiving the grant by your institution and department, the money and reports for policymakers will not get you tenure. A complex and large grant can also mean you become a coordinator of staff and graduate students, which means more administrative work and less time for writing and actual research. The perks can be travel to interesting places (or funds for your graduate students who don’t have kids to do that in your stead). It also can mean summer salary and allow you to raise your personal standard of living. Does this Mean I Have Policy Influence? In my first Minerva experience, there wasn’t a lot of sustained client demands on us for a particular research project of a specific nature. They were interested in basic research rather than policy recommendations. Indeed, that’s the general thrust of Minerva broadly. There were some modest opportunities for engagement with policy folks on the research, including annual conferences, impromptu requests for information, and a final project briefing, but we were often left to carry out the research. On some level, that was a very good thing because just got on with the research. It’s unclear what ultimate policy impact we had though it was nice to see the work cited in prominent outlets like the Defense Science Board and the Intergovernmental Panel on Climate Change. Is More Hands On Good? Other consultancy arrangements are much more hands-on in terms of the product, where you are more gun-for-hire to do a particular job, with particular specifications and terms. I have had experiences where the client was demanding but was also extremely hard to reach. Our contacts were mediated by a third party vendor responsible for the contract. So, any question had to be relayed to the vendor and then to the client. Communication could take months, but when we did get feedback, we pretty much had to what they asked to get paid. While income from such projects can supplement your salary, it is unclear what happens with that work. Many government agencies are continually supporting and doing activities to justify their existence, and whether something we write informs how money gets spent on the ground in the field is unclear. So, careful what you wish for. These grants and consultative opportunities can be an opportunity to work on issues you care about for policy audiences, but you may find years of your life dedicated to satisfying the deliverables for projects of unknown impact. My next and final post will address the issue of becoming a practitioner, if only for a while.